We all have been following the craziest headphone story of all time with every kid, or every trendy fake music lover tryin’ to look cool with the Beats by dre’s headphone on his head. 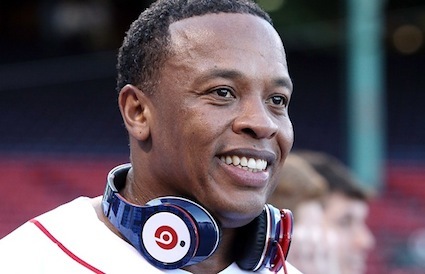 Well, last year, it is HTC that bought 51 percent stake of Dre’s Headphone company for $ 100 millions. With a few performance such as the Snoop Dogg one at Cancella’s this year, Dr dre has earned around $ 110 millions. In the Top 5, you’ll mainly people you forgot about such as Pink Floyd leader Roger Waters who gorssed $ 88 millions with his The Wall Tour, Elton John ($ 80 million) with his UK Boy band Take That tour, Justin Beiber (the only one under 50) with $55 millions and Lady Gaga. Now anyone wants to talk about art and music business ?